Dr. Srinivas Kota — a certified internist — and the rest of the staff at Premier Physicians offer the very finest in internal medical care at their facility in Bolingbrook, Illinois. In addition, they have an on-site medical spa, where patients can take advantage of a variety of treatment options. Those who practice internal medicine focus on adult care, working with patients to prevent, diagnose, and treat all manner of diseases. In fact, those who decide to go into internal medicine tend to enjoy solving diagnostic puzzles. As such, Dr. Kota is able to assist his patients in managing and treating a wide range of both common and complex diseases, providing long-term, comprehensive care throughout the course of a patient’s adult years. Can an Internist Serve as My Primary Care Physician? While Dr. Kota is not a general practitioner, his ability to work with a wide variety of health issues makes him a strong candidate for your regular and long-term health care needs. Dr. Kota and his team are proficient at both health maintenance and disease screening. Their skills in diagnosis and care of acute and chronic medical conditions -- and their experience managing the health of patients with multiple, complex medical problems -- makes them the premier choice for managing your long term care. Why Might I Want to Chose an Internist Over a General Practitioner? Dr. Kota has completed a three-year residency program focused on diseases for patients who are 18 and older. He and his team are particularly adept at helping adult patients who are managing multiple conditions and/or diseases, or who are experiencing short-term problems that can affect chronic illnesses. In short, if you are an adult struggling with multiple health problems that require you to take more than one medication, Dr. Kota may be the best choice for you. 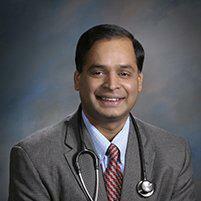 What are Some of the Health Issues Dr. Kota is Qualified to Diagnose and Treat?